People who got more calcium in their weight loss diet Lost 5 times more belly fat and twice as much weight overall than those who didn't get enough calcium in their weight loss diet. The reason calcium is magical for weight loss is it suppresses calcitriol which is a hormone responsible for making you fatter so less calcitriol = more weight loss. 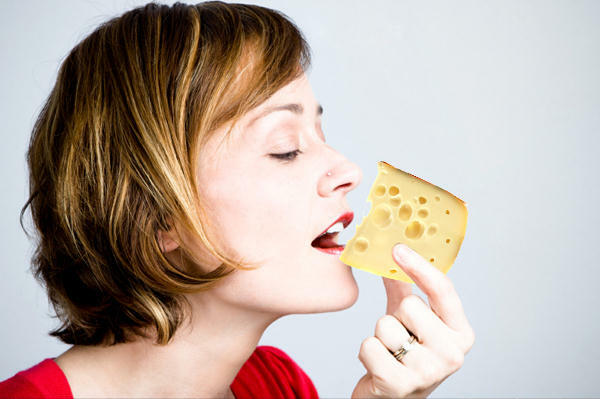 Calcium reduces your appetite so you'll eat less & lose more weight faster like the women in this study here who lost 6 times more weight with more calcium in their diet. Oatmeal keeps you full or satisfied longer than any other breakfast cereal. Pectin is a strong appetite suppressant that keeps you satisfied for long periods of time (about 1-to-2 hours longer than regular fiber) without using any expensive appetite suppressant drugs. In this Brazilian study women lost 33% more weight when eating apples before their meals. Pectin regulates your blood sugar which is also prevents you from overeating and better blood sugar control means less fat is being stored & lower insulin leading to more fat burning. Pectin is also found in apricots, bananas, cabbage, carrots, legumes, onions, peaches, oranges & grapefruit. It's been proven if you get enough vitamin C in your diet you'll burn 30% more fat when exercising. Vitamin C helps keep cortisol in check which prevents you from gaining too much belly fat. Other foods high in high in vitamin C are Yellow Bell Peppers, Kale, Kiwi, Broccoli, Strawberries & Papaya. Broccoli contains Sulforaphane and just like adrenaline… Sulforaphane also stimulates enzymes to burn more fat. Brussels Sprouts, Cabbage, Kale, Kohlrabi, Collards & Radishes are all high in Sulforaphane. Resistant starch helps you store less fat and burn 30% more fat after you eat a meal. Resistant Starch improves insulin sensitivity which basically means there is less insulin floating around in your body which allows more fat burning (not fat storing) to occur. Resistant starch helps you feel full and eat much less over long periods of time for faster weight loss. More foods loaded with resistant starch include navy beans, high amylose cornstarch, potatoes, lentils, oatmeal, parboiled rice, green peas & cashews. CLA helped people in this study lose 9% of their body fat without making any changes to their diet or exercise program. This study showed how CLA helped people lose an inch off their waistline. Boiled potatoes have the highest satiety rating among all foods. You're going to tend to eat a lot less after having a boiled potato and eating less or eating the right amount of calories is key for you losing weight. Oranges, Fish & Popcorn also have high satiety ratings. 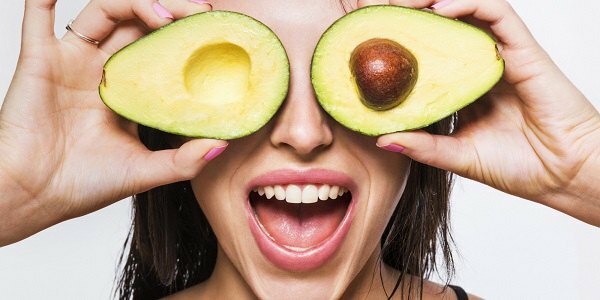 Avocados can kill hunger for up to 5 hours or decrease your desire to eat by 40% according to this report here & when you're not hungry… You don't eat as much (calories) meaning you'll lose weight much faster. 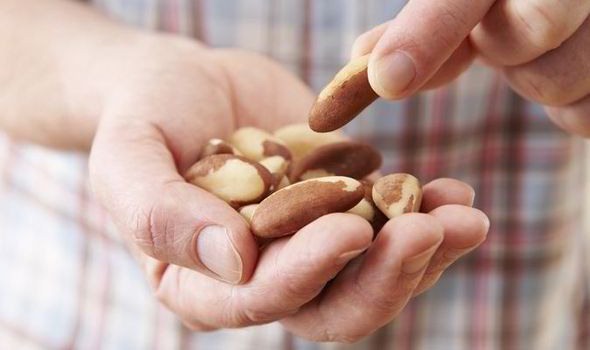 Pine Nuts contain pinoliec acid which forces your body to release 2 powerful appetite suppressing hormones (CCK & GLP-1) & Pine nuts contain the highest amount of protein of any nut. The magic weight loss ingredient in Chili Peppers is capsaicin. Adding Capsaicin to your daily meals can increase your metabolism by 50-to-100 calories which adds up to you losing an extra 5-to-10 pounds of fat each year. Capsaicin is also found in Habanero chili, Thai, Cayenne, Jalapeno & Jamaica peppers & Anaheim. Hi, i gain weight fast, so Iosing and keeping it is always a struggle. Im 52,70kg and i wanted to lose at least 15kg. Thank you for the suggestion i would get. Hi I'm 40 years old. I have a plate with screws in my arm so it's difficult to do any sort of heavy lifting. I'm at 245 and I should be at 150. What's the best way to lose all this weight? Hi i am 142 and for the army by next week, because i get my physical i have to be 136. I am 5'1 that is why but last year i was 180 and i lost all my weight with doing your videos and diets. Please help me lose this weight. Adrian, I have tried some of your exercise along with eating below my daily calorie intake (1900), and I have only lost minimal weight. I exercise 30 minutes three to four times a day. I am 65 years old and really want to get rid of this 30 lbs. I do have degenerated disc disease in my lower back and do not want this to stop my efforts. Please, what do you recommend that I change. Should count my calories by eating from McDonalds or Chic-fila? I live alone and the purchase of foods to do meal planning can be costly for one person. Please help! first of all, count the calories in anything you eat and also double check that 1900 calorie count. I normally start the day with raw apple cyder vinegar and then coffee. When I'm doing the fastening, will the coffee destroy it? And what about ginger tea during evening? My name is Brian and I’m 52. A combo of weight loss Foods and fasting. My question actually two questions are, is a 10am-8pm window ok to lose weight? I’m not ready for 16/8 yet, also can I have black coffee and tea when fasting? Thanks! I saw your site and I am interested and this time determined to lose the weight. I live in the Caribbean thou, so I don't know if it will be possible for me to get your workout DVDs. However, I am age 25, male, 5ft 7inches currently at 257 pounds. Need to lose at least 57 pounds by May! Can you help me please? Hello, I'm 46 and have been dealing with an auto-immune disease which affects my muscles, for the last 27 years. I've gained weight due to some of my medicines and not being able to really exercise. My disease is now under control and I want to get back into exercising and eating right, but I don't know where to begin. Although I know I'll need to build up strength and endurance, I tend to give up if I don't see some type of result within a reasonable time. Please help! Do you have a DVD for the workouts? Please add me to your email list. Is it better to eat a protein such as eggs after a workout in the morning, or oatmeal? I workout before eating. If this was an attempt to get more traffic to your website and then clicks to make sales off your aff. link then I must say "well played sir"
46 yo male, 263 pounds. can you point me to a good starting place for me to lose the weight and build some muscle along the way? Thanks AB! Keep up the good fight! Hi, I am 34 years old-- 5'8" and 180 lbs. My goal weight is 140 lb, but I would like to lose as much weight as possible (even if it's just temporary) in the next 2 weeks for a wedding. I've always had a difficult time losing weight. I eat very little dairy (usually just yogurt), wheat, & eggs due to sensitivities to those foods. For the last 3 weeks I have been working out, drinking only water, and have cut out carbs almost 100%, but have only lost 5 lbs. Any recommendations? I am a 20-year-old girl who is overweight... I am 160 cm and weigh 94 kg. I really want to lose weight, but I don't know which program to follow and I have heard that some of the tips that you have mentioned isn't good for losing weight by other professionals for example eating cheese. Can you tell me which one I should use and also how to prevent loose skin while losing weight. Thank you so much! Oh and by the way I want to go back to the "normal" weigh, which is around 60 kg. I am 14 years old, I weight 54 kg and my height is 1,62 meter. I want to lose 4 kg through the summer. I do go to the gym but it is not fast to lose weight. I think I really need food that will help me lose weight quickly. what should I eat? did you look at all the foods on this page? I am a 46 year old woman and I would like to lose 30 lbs. I am 5'0 and weigh 145lbs. I exercise sporadically and lose motivation easily because I'm not sure what exercises to do or what I should be eating. If I don't see some sort of results, then I get discouraged. I really don't want to have to cut out anything but I will if I have too. I hate counting calories and I have tried WW, 21 day fix, Dr. Ian Smith's diets, and I find that when Im trying to eat a certain way ALL I THINK ABOUT IS FOOD! and that's when I crave stuff. So, any advice that you can offer will be greatly appreciated. I know you cant target weight loss but I need to lose my stomach and my thighs are my problem areas. Im 5ft9in and weight 320lbs, whats a good exercise to help loose 100lbs in six months? Hi Adrian, I am a 5'4 19 year old girl and currently weigh around 125 pounds. I have recently began to eat less, my daily calorie intake is below 1800 calories and I drink 2 to 3 medium bottles of water per day. As well as this, I do small exercise activities for around 10 minutes each per day which include jump rope and leg lifts. My weight has neither increased or decreased and this is very frustrating. Could this be due to my irregular sleeping pattern and meal times? I don't eat after 12am anymore and I am trying to stop eating after 9pm altogether. Any other tips on how to loose 5lbs in 2 days? I want to get down to at least 100lbs in the next 3 to 4 weeks. What are the best exercise activities I can do without going to the gym? Also is it okay to eat weetabix with 2 sugars and semi skimmed milk for breakfast? I am more likely to exercise daily than follow a diet plan but I will try my best to pursue any of the methods you suggest. Hi! Im a college student and i have recently finished my freshman year. I am 19, 5 ft, and 166lbs. I want to get down to at least 145 before i start school in august again. What should i do? I'm a 265 pound woman. I need to start trying to lose weight. I would like to lose 50-60 pounds by August. I'm not sure if this is possible. If so what do I need to do and where should I start? Hi, I'm 17 almost 18 years old, 5"3, and 120lbs. I got pregnant at 15 and gave birth at 16. I would like to know if there was a way to lose the baby belly. I workout everyday for 30 mins and I walk 5 times a week around the neighborhood that usually takes 45 mins. I work at a fast good restaurant 3 times a week so it's hard to stay away from unhealthy foods. I usually only eat 3 very small meals. My meal at work is 4pc chicken nuggets small frys and a small smoothy. I've bearly seen any results since I first started working out a year and a half ago. Breast feeding took all my baby weight gain of 21 pounds away in 2 weeks. I was pregnant at 36 and delivered at age 37. My weight before getting pregnant was 193. Hi! I'm a student and an Asian. My weight is 143 and 5'4 tall. I don't have much time to exercise, only on weekends. I always do skipping. I walk from university to home around 25minutes for 5days. Can you suggest me some diet & exercise tips? I am 55 yrs old and I weigh 168. I would like to weigh 125. What do you suggest?